Festuca barbata , Loefl. ex L.
Schismus barbatus is invasive in the Mojave and Sonoran Deserts of the southwestern United States. However, this species also provides food for desert turtles and rodents. It is most common in disturbed areas of the deserts and becomes most abundant during years of favourable winter rains. Schismus barbatus is a tufted annual up to 40cm tall. The inflorescence is a narrow, erect, greenish-purple panicle (branched, cluster), produced in spring [in western United States].” Devender et al. (1997) describes S. barbatus as a cool-season annual. Wilken and Hannah (1998) describe S. barbatus as being a slow growing grass with smooth stems that ascend to somewhat grow on the ground. The leaves are alternate with irregular jagged edges. The stem is smooth for the most part with scattered soft hairs. The blades are narrowly linear, 5-10cm long, 0.5-2mm wide, and curled inward. The grass has dense infloresence 1-5cm long and ovate to elliptic in shape. Spikelets are 4-8mm long, becoming reddish, and are composed of 3-8 florets. Brooks (2000a) indicates that S. barbatus is so similar to S. arabicus physiognomically and in terms of the habitats it invades that the two species may have very similar ecological effects. According to Devender et al. (1997), S. arabicus has been recognized as a subspecies of S. barbatus. Today they are considered separate species to most, although Brooks (2000a) notes that their ecological effects are likely to be very similar. According to Devender et al. (1997), \"the first stems and leaves often spread out close to the ground, effectively excluding or preventing other ephemerals from sprouting.\" According to Wilken and Hannah (1998), flowering takes place from February to May, in California. According to Wilken and Hannah (1998), \"S. barbatus has become an important component of the winter-early spring annual vegetation of the Mojave and Sonoran deserts, especially in disturbed or open areas among shrubs. 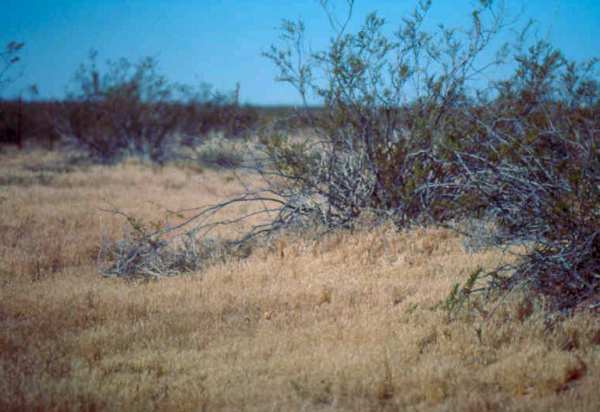 Although low in nutritional quality, the leaves are utilized by desert toroises and the seeds are eaten by desert rodents. Schismus barbatus is a common weed of pastoral lands and disturbed sites, according to Randall (1998). Devender et al. (1997) describes the some preferred habitat features such as sandy soils, sandy flats, arroyos (dry bed of a small stream) and washes, interdune troughs, at the bases of larger dunes, and as an agricultural and urban weed.\" According to Wilken and Hannah S. barbatus has been reported from roadsides, waste areas, fields, and dry river beds. S. barbatus is more common in semi-arid regions whereas S. arabicus is more common in arid regions (Brooks 2000a). According to Devender et al. (1997), years of favourable winter rains allow the grasses to become abundant forming extensive, dense carpets. Wilken and Hannah (1998) state that S. barbatus reproduces by self-pollination. \"Seeds stored under dry conditions germinate readily only after heat treatment, consistent with its desert habitat, but germination is enhanced by dark relatively warm conditions.\"
Recommended citation: Global Invasive Species Database (2019) Species profile: Schismus barbatus. Downloaded from http://www.iucngisd.org/gisd/species.php?sc=552 on 22-04-2019. According to Devender et al. (1997), S. barbatus, along with several other invasives, potentially causes the most ecological damage to the Sonoran Desert Region. S. barbatus is described \"to spread close to the ground preventing other ephemerals from sprouting.\" Alien plants such as Schismus spp. can alter the structure of native plant communities, reducing biomass and species richenss of natives (Brooks 2000b). Alien annual grasses in particular can facilitate the spread of fire (Brooks 1999), and contribute to increased fire frequency where it was historically in frequent (Brooks and Esque 2002, Brooks and Pyke 2001) In the Mojave Desert, biomass of alien annual plants is negatively correlated with biomass and species richness of native annuals, even when potential covarying factors such as disturbance and soil nutrient levels are accounted for. Years of competition from these grasses may reduce the seed banks of native annuals, possibly causing fundamental changes in annual plant community structure and food web dynamics.\" Wilken and Hannah (1998) state that S. barbatus is not considered a noxious weed in agricultural or horticultural practices. Physical: S. barbatus is difficult to control due to its tendency to carpet the ground and produce large amounts of small seeds early in the growing season (Brooks 2000a). Although fire and livestock grazing may temporarilly reduce its biomass, in the long run it promotes its dominance (Brooks 2000a, 2002). Chemical: Herbicides such as glyphosate can be effective, but application is difficult due to the small leaf area (Brooks 2000a). Informations on Schismus barbatus has been recorded for the following locations. Click on the name for additional informations. Brooks, M. 1999. Alien annual grasses and fire in the Mojave Desert. Madro�o. 46:13-19. Summary: Documents ability of the species to promote the spread of fire. Brooks, M. 2002. Peak fire temperatures and effects on annual plants in the Mojave Desert. Ecological Applications 12:1088-1102. Summary: Evaluates effects of fire on alien annual plants in the Mojave Desert. Brooks, M. 1995. Benefits of protective fencing to plant and rodent communities of the Western Mojave Desert, California. Environmental Management. 19(1). 65-74. Dep. Biol., Univ. Calif., Riverside, CA 92521, USA. Brooks, M. 1999. Alien annual grasses and fire in the Mojave Desert. Madrono. 46(1). 13-19. Biological Resources Division, Western Ecological Research Center, United States Department of the Interior, United States Geological Survey, 41734 South Fork Dr., Three Rivers, CA, USA. Brooks, M. 2000a. Schismus arabicus Nees, Schismus barbatus (L.) Thell. Pp. 287-291. In C. Bossard, M. Hoshovsky, and J. Randall (eds. ), Invasive Plants of California s Wildlands. University of California Press. Berkeley, CA. Summary: Reviews the orign, habitats, impacts, and control methods. Brooks, M. 2000b. 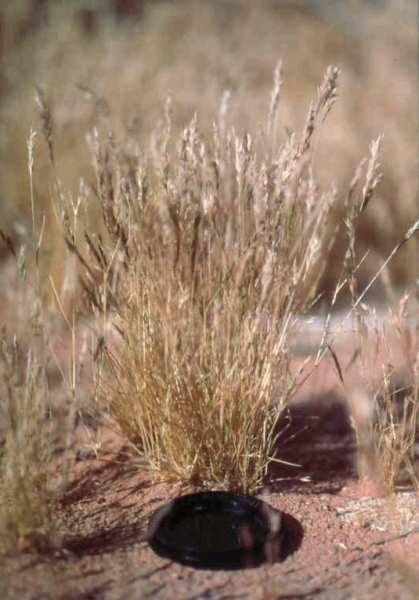 Competition Between Alien Annual Grasses and Native Annual Plants in the Mojave Desert University of California and United States Geological Survey, California, United States. Summary: An report on the impacts of S. barbatus on the Mojave Desert. Brooks, M. 2003a. Effects of increased soil nitrogen on the dominance of alien annual plants in the Mojave Desert. Journal of Applied Ecology. 40(2). 344-353. Western Ecological Research Center, Las Vegas Field Station, United States Geological Survey, 160 N. Stephanie St., Henderson, NV, 89074, USA. Brooks, M. 2003b. Plant Assessment form for Schismus spp. (S. arabicus and S. barbatus). California Invasive Plant Council. Summary: Reviews the ecological impacts, inherent ability to spread, and biogeographical range in California, USA. Available from: http://ucce.ucdavis.edu/files/filelibrary/5319/11727.doc [Accessed 17 March, 2004]. Summary: Reviews the ecological effects of invasive plants and fire in the deserts of North America. Brooks, M. and T.C. Esque. 2002. Alien annual plants and wildfire in desert tortoise habitat: status, ecological effects, and management. Chelonian Conservation and Biology 4:330-340. Summary: Reviews the effects of alien plants and fire on habitat for the Threatened Desert Tortoise (Gopherus agassizii). Brown D. E and Minnich R. A. 1986. Fire And Changes In Creosote Bush Scrub Of The Western Sonoran Desert California USA.American Midland Naturalist. 116(2). 411-422. Ultrasystems Inc, Environ Systems Div, 16845 Von Karman Ave, Irvine, Calif 92714, USA. Devender, T.; Felger, R.; and M., A. 1997. Exotic Plants in the Sonoran Desert Region, Arizona and Sonora California Exotic Pest Plant Council, California, United States. Summary: This page contains information on distribution, spread, and impacts. Mateos, Marco A., Ojeda, Fernando and Maranon, Teodoro. 1999. New records for the Chafarinas Islands (Spain). Anales del Jardin Botanico de Madrid. 57(1). 188-190. Departamento de Biologia Vegetal y Ecologia, Universidad de Sevilla, E-41080, Sevilla, Spain. Randall, R. 1998. Monocotyledons Plant Protection Society of WA, Washington, United States. Summary: This site gives a brief description and background about the invasive. USDA-NRCS (Natural Resource Conservation Service). 2005. Schismus barbatus. The PLANTS Database Version 3.5 [Online Database] National Plant Data Center, Baton Rouge, LA. Wilken, D. and Hannah, L. 1998. Schismus arabicus Nees (Poaceae) Mediterranean Grass Channel Islands National Park. Summary: This page is a compiled report on S. arabicus and S. barbatus. It includes information on description, distribution, biology, habitat, and states the lack of control measures available.